France, officially the French Republic, is a unitary semi-presidential republic in Western Europe with several overseas territories and islands located on other continents and in the Indian, Pacific, and Atlantic oceans. Metropolitan France extends from the Mediterranean Sea to the English Channel and the North Sea, and from the Rhine to the Atlantic Ocean. It is often referred to as l’Hexagone ("The Hexagon") because of the geometric shape of its territory. It is the largest country in Western Europe and the third-largest in Europe as a whole (after Russia and Ukraine), and it possesses the second-largest exclusive economic zone in the world, covering 11,035,000 km2 (4,260,000 sq mi), just behind that of the United States (11,351,000 km2 / 4,383,000 sq mi). Over the past 500 years, France has been a major power with strong cultural, economic, military and political influence in Europe and around the world. During the 17th and 18th centuries, France colonized great parts of North America and Southeast Asia; during the 19th and early 20th centuries, France built the second largest colonial empire of the time, including large portions of North, West and Central Africa, Southeast Asia, and many Caribbean and Pacific Islands. France has its main ideals expressed in the Declaration of the Rights of Man and of the Citizen. The French Republic is defined as indivisible, secular, democratic and social by its constitution. 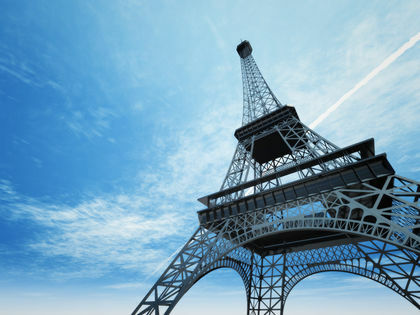 France is one of the world's most developed countries, it possesses the world's fifth largest economy measured by GDP, the ninth-largest economy measured by purchasing power parity and is Europe's second largest economy by nominal GDP. France is the wealthiest nation in Europe – and the fourth wealthiest in the world – in aggregate household wealth. France enjoys a high standard of living as well as a high public education level, and has also one of the world's longest life expectancies. France has been listed as the world's "best overall health care" provider by the World Health Organization. It is the most visited country in the world, receiving 82 million foreign tourists annually. Three types of climate may be found within France: oceanic, continental, and Mediterranean. The oceanic climate, prevailing in the western parts of the country, is one of small temperature range, ample rainfall, cool summers, and cool but seldom very cold winters. The continental (transition) type of climate, found over much of eastern and central France, adjoining its long common boundary with west-central Europe, is characterized by warmer summers and colder winters than areas farther west; rainfall is ample, and winters tend to be snowy, especially in the higher areas. The Mediterranean climate, widespread throughout the south of France (except in the mountainous southwest), is one of cool winters, hot summers, and limited rainfall. The mean temperature is about 11° C (53° F ) at Paris and 15° C (59° F ) at Nice. In central and southern France, annual rainfall is light to moderate, ranging from about 68 cm (27 in) at Paris to 100 cm (39 in) at Bordeaux. Rainfall is heavy in Brittany, the northern coastal areas, and the mountainous areas, where it reaches more than 112 cm (44 in). Eiffel Tower, Mediterranean vegetation (lavender) in Provence. A member of the G8 group of leading industrialized countries, it is ranked as the world's fifth largest and Europe's second largest economy by nominal GDP (08,265 trillion - 2011), after Germany (.577 trillion) and ahead of the UK (,452.689 trillion); with 39 of the 500 biggest companies of the world in 2010, France ranks world's 4th and Europe's 1st in the Fortune Global 500 ahead of Germany and the UK. France joined 11 other EU members to launch the euro on 1 January 1999, with euro coins and banknotes completely replacing the French franc (₣) in early 2002. La Défense, just outside Paris, is the largest business district in Europe. Financial services, banking and the insurance sector are an important part of France's economy. The leading French banks are BNP Paribas and the Crédit Agricole, ranking as the world's 1st and 6th largest banks in 2010 (determined by the amount of assets), while the Société Générale group was ranked the world's eight largest in 2008–2009. France is the smallest emitter of carbon dioxide among the seven most industrialized countries in the world, due to its heavy investment in nuclear power. France has historically been an important producer of agricultural products. The French GDP per capita according to the IMF (,008) is similar to the GDP per capita of other comparable European countries such as Germany (,742) and the United Kingdom(,592). The current Government is experiencing the revenu de solidarité active to redress the negative effect of the revenu minimum d'insertion on work incentive. The French healthcare system was ranked first worldwide by the World Health Organization in 1997 and then again in 2000. Care is generally free for people affected by chronic diseases (affections de longues durées) such as cancer, AIDS or Cystic Fibrosis. Average life expectancy at birth is 78 years for men and 85 years for women, one of the highest of the European Union. There are 3.22 physicians for every 1000 inhabitants in France, and average health care spending per capita was US,719 in 2008. The Pitié-Salpêtrière Hospital, a teaching hospital in Paris, one of Europe's largest hospitals. 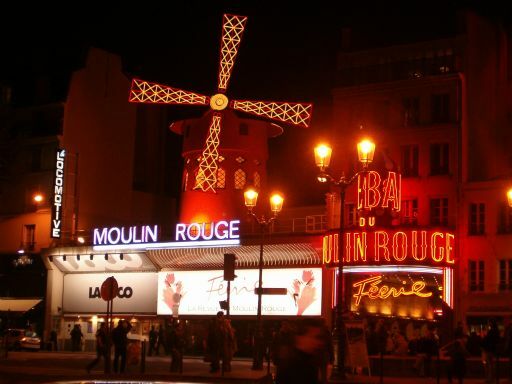 France has been a center of cultural creation for centuries. Many French artists have been among the most renowned of their time, and France is still recognized in the world for its rich cultural tradition. The 43,180 buildings protected as historical monuments include mainly residences (many castles, or châteaux in French) and religious buildings (cathedrals, basilicas, churches, etc. ), but also statutes, memorials and gardens. 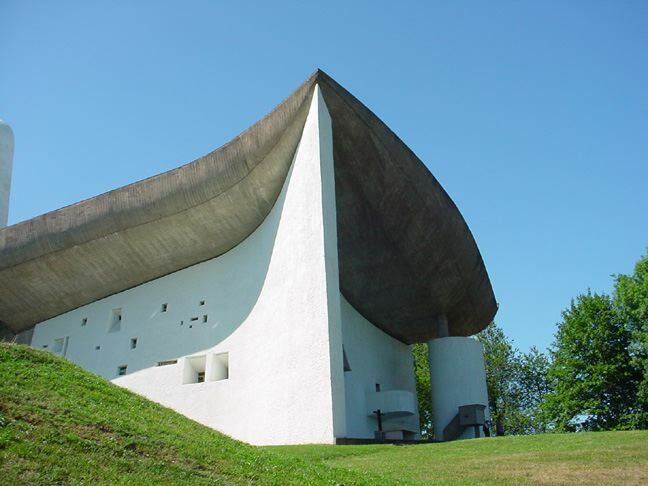 The UNESCO inscribed 37 sites in France on the World Heritage List. 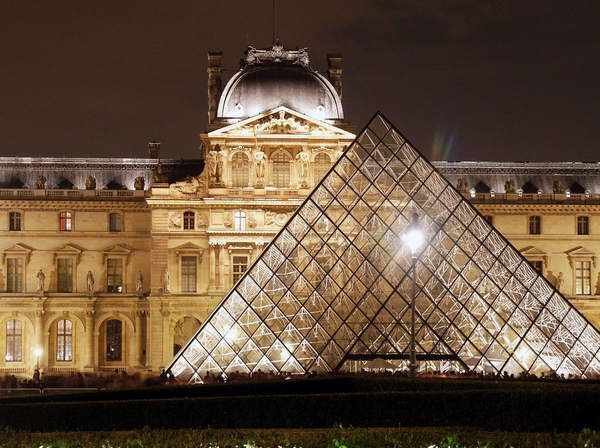 French art consists of the visual and plastic arts (including architecture, woodwork, textiles, and ceramics) originating from the geographical area of France. Historical surveys of French art typically begin with Pre-Romanesque art, Romanesque art, and Gothic art, but some surveys, such as André Chastel's French Art, include discussions of prehistoric art, Celtic art, and Roman art within France. Although the musical creation in France dates back to the Middle Ages, it knew its golden age in the 17th century thanks to Louis XIV, who employed several musicians and composers in the royal court. The most renowned composers of this period include Marc-Antoine Charpentier, François Couperin, Michel-Richard Delalande, Jean-Baptiste Lully and Marin Marais, all of them composers at the court. After the death of the "Roi Soleil", French musical creation lost dynamism, but in the next century the music of Jean-Philippe Rameau reached some prestige, and today he is still one of the most renowned French composers. French classical music knew a revival in the 19th and 20th century, at the end of the romantic movement, at first with opera composers Hector Berlioz, Georges Bizet, Gabriel Fauré, Charles Gounod, Jacques Offenbach, Édouard Lalo, Jules Massenet and Camille Saint-Saëns. 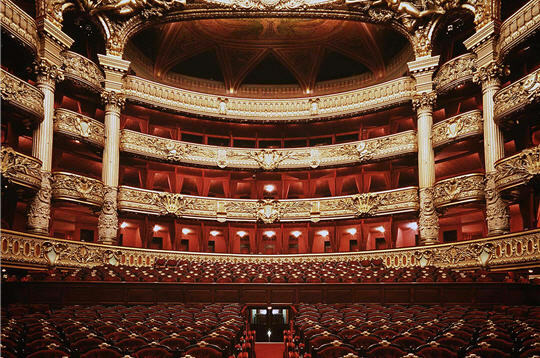 This period was a golden age for operas, being popular in the country theopéra bouffon, the opera-ballet and the opéra comique genres. Later came precursors of modern classical music Érik Satie, Francis Poulenc, and above all Maurice Ravel andClaude Debussy, who invented new musical forms.More recently, at the middle of the 20th century, Maurice Ohana, Pierre Schaeffer and Pierre Boulez contributed to the evolutions of contemporary classical music. French literature has been for French people an object of national pride for centuries, as it is one of the most brilliant and most influential components of the Western literature. Major authors of that century include Alexandre Dumas (The Three Musketeers and The Count of Monte-Cristo), Jules Verne (Twenty Thousand Leagues Under the Sea),Émile Zola (Les Rougon-Macquart), Honoré de Balzac (La Comédie humaine), Guy de Maupassant, Théophile Gautier and Stendhal (The Red and the Black, The Charterhouse of Parma), whose works are amongst the most well known in France and the world. The Prix Goncourt is a French literary prize first awarded in 1903. Important writers of the 20th century include Marcel Proust, Louis-Ferdinand Céline, Albert Camus, and Jean-Paul Sartre. Antoine de Saint Exupéry wrote Little Prince which has remained popular for decades with children and adults around the world. As of 2010, French authors had more Literature Nobel Prizes than those of any other nation. Molière,Victor Hugo, Charles Baudelaire, Jean-Paul Sartre. Modern philosophy began in France in the 16th century with the philosophy of René Descartes, Blaise Pascal, and Nicolas Malebranche. Descartes revitalised Western philosophy that had been on the decline after the Greek and Roman eras. His Meditations on First Philosophy changed the primary object of philosophical thought and raised some of the most fundamental problems for foreigners such as Spinoza, Leibniz, Hume, Berkeley, and Kant. During the 18th century, French philosophers produced one of the most important works of the Age of Enlightenment. In The Spirit of the Laws, Baron de Montesquieu theorized the principle of separation of powers, that has been implemented in all liberal democracies since it was first applied in the United States. In The Social Contract, Jean-Jacques Rousseau openly criticized the European divine right monarchies and strongly affirmed the principle of the sovereignty of the people. Voltaire came to embody the Enlightenment with his criticisms of Church dogma and French institutions and his defence of civil liberties such as the right to a free trial and freedom of religion. In the early 20th century, French spiritualist thinkers such as Maine de Biran, Henri Bergson and Louis Lavelle, influenced Anglo-Saxon thought, including the Americans Charles Sanders Peirce and William James, and the Englishman Alfred North Whitehead. In the late 20th century, postmodern philosophy began in France, with notable post-structuralist thinkers including Jean-François Lyotard, Jean Baudrillard, Jacques Derrida, Jacques Lacan, Michel Foucault and Gilles Deleuze. Postmodern philosophy can also be seen as a critique of traditional western thought and incredulity toward metanarratives, influenced heavily by structuralism, phenomenology and existentialism. French cuisine is renowned for being one of the finest in the world. 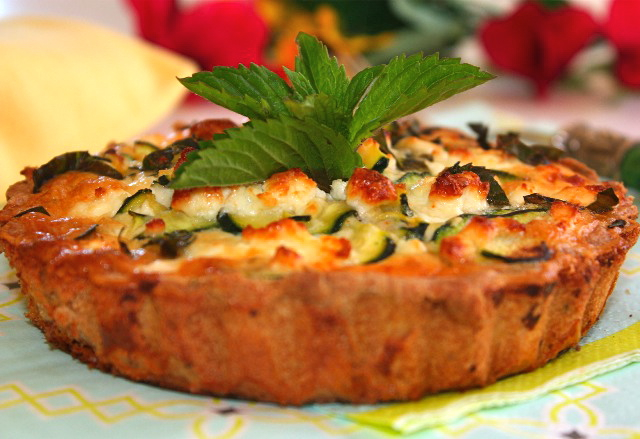 French cuisine is extremely diverse and has exerted a major influence on other western cuisines. According to the regions, traditional recipes are different, the North of the country prefers to use butter as the preferred fat for cooking, whereas olive oil is more commonly used in the South. Moreover, each region of France has iconic traditional specialities: Cassoulet in the Southwest, Choucroute in Alsace, Quiche in the Lorraine region, Beef bourguignon in the Bourgogne, provençal Tapenade, etc. France's most renowned products are wines, including Champagne, Bordeaux, Bourgogne, and Beaujolais as well as a large variety of different cheeses, such as Camembert, Roquefort and Brie. There are more than 400 different varieties. 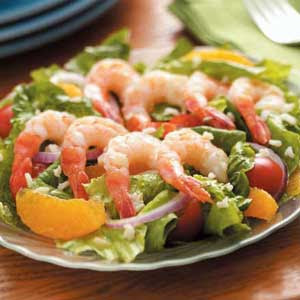 French cuisine is also regarded as a key element of the quality of life and the attractiveness of France. A French publication, the Michelin guide, had by 2006 awarded 620 stars to French restaurants, at that time more than any other country, although the guide also inspects more restaurants in France than in any other country (by 2010, Japan was awarded as many Michelin stars as France, despite having half the number of Michelin inspectors working there). Popular sports played in France include football, judo, tennis and basketball. France has hosted events such as the 1938 and1998 FIFA World Cups, and hosted the 2007 Rugby Union World Cup. Stade de France in Paris is the largest stadium in France and was the venue for the 1998 FIFA World Cup final, and hosted the 2007 Rugby World Cup final in October 2007. 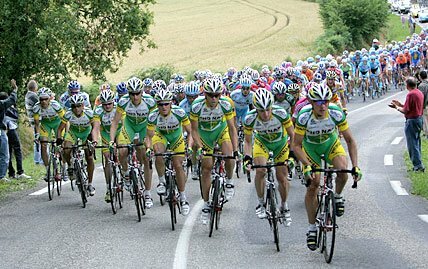 France also hosts the annual Tour de France, the most famous road bicycle race in the world. France is also famous for its 24 Hours of Le Mans sports car endurance race held in the Sarthe department. Several major tennis tournaments take place in France, including the Paris Masters and the French Open, one of the four Grand Slam tournaments. France has a close association with the Modern Olympic Games; it was a French aristocrat, Baron Pierre de Coubertin, who suggested the Games' revival, at the end of the 19th century. After Athens was awarded the first Games, in reference to the Greek origins of the ancient Olympics, Paris hosted the second Games in 1900. Paris was also the first home of the International Olympic Committee, before it moved to Lausanne. Since that 1900 Games, France has hosted the Olympics on four further occasions: the1924 Summer Olympics, again in Paris and three Winter Games (1924 in Chamonix, 1968 in Grenoble and 1992 in Albertville). The football team is among the most successful in the world, particularly at the turn of the 21st century, with one FIFA World Cup victory in 1998, one FIFA World Cup second place in 2006, and two European Championships in 1984 and 2000. The top national football club competition is the Ligue 1. Rugby union is also very popular, particularly in Paris and the southwest of France.Rugby league in France is a sport that is most popular in the south with cities such as Perpignan and Toulouse having a strong presence in the game. The Catalans Dragons currently play in Super League which is the top tier rugby league competition in Europe. The Elite One Championship is the professional competition for rugby league clubs in France. In the last decades, France has produced a high number of world-elite basketball players, most notably Tony Parker. The France national basketball team has won silver at the EuroBasket 2011, its best performance in over 60 years. The national team further won two Olympic Silver Medals, one in 2000 and one in 1948. This does not mean you can’t find a cheaper apartment! – Our candidates have paid an average sum of 500 euro for a 3 bedrooms apartment. A person who is tax resident in France is liable to pay tax on their worldwide income (impot sur le revenu). Some income, such as earnings, pensions, rental income and some other forms of investment income is taxed at progressive scale rates that range from 0 percent to a top rate of 41 percent. There is also a fixed rate of income tax at source on bond or bank interest (at 24% from 2012) and on capital gains (19% from 2012), and 21% on dividends. By election these rates can be applied to interest and dividends, say, from other EU countries.